Happy Friday friends! We're off on another jet setting adventure back to Chicago for a fellow elementary school friend of mine's big wedding! I actually can't wait to attend to see a few high- school friends, my family and..gasp.. a few famous people?! We'll see but none the less, I'm off again and packing a bag! I'm already anxious to get settled for good here when we don't need to live out of our suitcases for a few days.. oh but wait, I'm going on yet another vacation next weekend! Phew! Have I mentioned the next few weeks are chaotic?! Anyways, before things get too out of hand, I wanted to jump in and share a few things I'm loving with you all this week. Despite the chaos, I've def had a few items that have really turned my never ending to do list and stress flipped! So here are a few things I'm loving! 1. 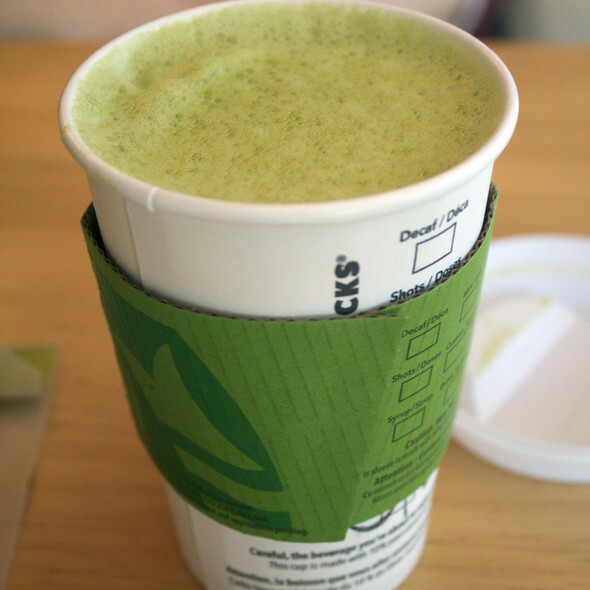 Matcha Green Tea Lattes - You saw on my Insta Stories that I shared with you this new flavor drink I ordered from Starbucks the other day. I truly am one of those people who love to try something at least once and you guys nailed it when you said I should try this. Although it's not technically 'new' I don't know how I didn't get on this bandwagon sooner! The match is super delicious with some green tea and steamed almond milk added. It's a little sweet but for someone who has a sweet tooth, it's a perfect wake up for the morning grind! Thank you all for the suggestions! 2. 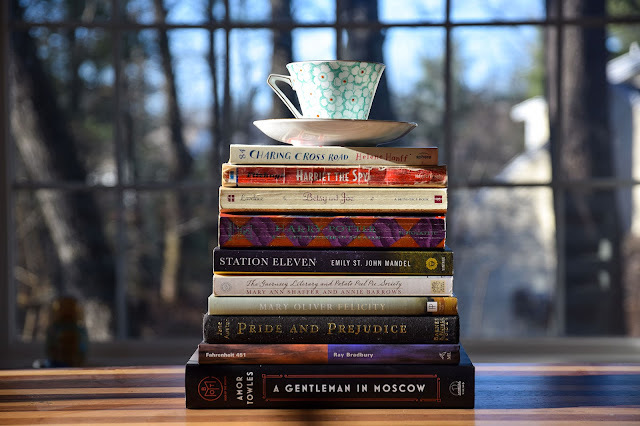 Book Club - A few years ago I started a #CaitsCozyBookClub and had a few of you read along and enjoy it. I had to stop after having Landon almost a year ago ( ahh that's crazy we'll be celebrating that birthday next month ) but realizing how much I love reading and connecting with you all, I'm thinking about starting it up again! Thoughts? Any book suggestions? 3. Design Center/Pinterest Dreaming - You guys saw last week that we finally sold our home in Atlanta and are in the process of starting to build our dream home. 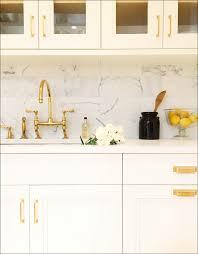 Of course, it'll be a few months before we get things finalized and officially move in but I'm already looking up Pinterest 'dream closets' and gorgeous white kitchens are all I'm enjoying to come up with right now. Ideas friends? If you've ever built let me know some easy ideas you had! 4. SPRING Sunglasses - The weather is slowly turning nicer here in Atlanta and although our time here is ending, I'm still harping on all things warm weather, sundresses, sunglasses and more. 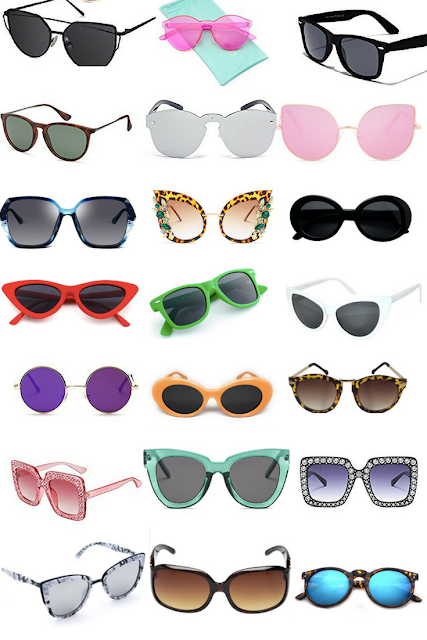 Speaking of sunglasses, did you see my 21 sunglasses all under $21?! Yup- it's a game changer. 5. 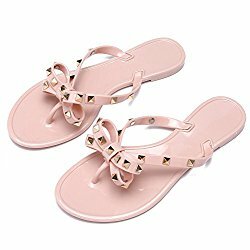 Bowtie Flip Flop Jelly Sandals - Oh my gosh! I've been on the hunt to find these gorgeous sandals but never wanted to pay full price. THESE are only $20 on Amazon right now and just look like the Valentino ones! You bet I snagged these and how adorable are the pink! They run TTS too ! I love book-club, it's interesting to learn everyone's else perspectives on a book. I can't wait to wait about Landon's Birthday and Happy Birthday to him. Um, yes girl! I've been drinking my own version of Matcha green tea lattes at home (frothed almond milk + green tea steeped in milk for 10 minutes + 2 packets truvia + packet of Vital Proteins Matcha powder) and I am ADDICTED!! Can't wait to see the home you build! Happy Friday! One thing I'd really like to buy this spring is a nice pair of sunglasses. Mine are all scratched up! I love all your picks! Love this post and those sandals are gorgeous, such a pretty colour for spring! I am so ready for spring to start house projects too! We bought a fixer upper last year and it has little closet space. I am Pinterest-ing closet and secret storage things too! Girl those flip flops look juuuuuuuust like Valentino...adding to cart!! Love the jelly sandals! I remember having a pair a few years back. I am so happy that spring has finally arrived! We will be renovating our home soon and PINTEREST is now my bestie. Congratulations on building your dream home! You totally just reminded me to get my sunglass collective together lol. Thanks for sharing! Those flip flops are a perfect dupe! I love them!! We just went through the building process. The kitchen was my favorite part. You're going to have so much fun!